A deep depression formed over the Bay of Bengal, named Kyant, is expected to become a cyclonic storm in the next 24 hours and hit the Odisha coast. Bhubaneswar Met office has said the actual impact on the state can be stated only after the cyclonic storm recurves close to the Myanmar coast on 24 October. It added that the deep depression lay centred about 950 km east-southeast of Gopalpur, a place in Ganjam district of Odisha. The depression is likely to have impact on at least 10 districts from central, coastal and north Odisha. 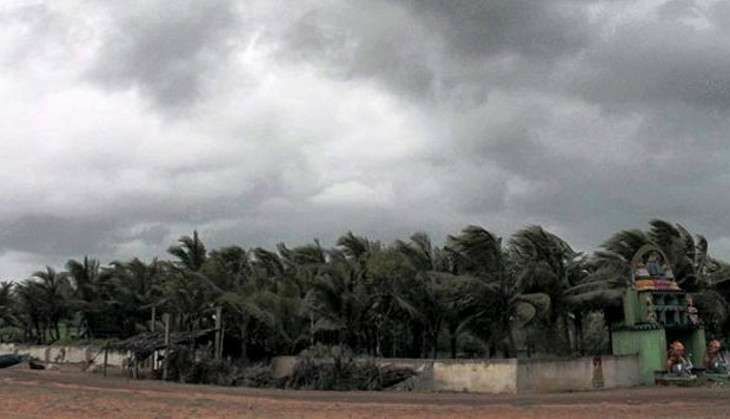 Bhubaneswar Met office director Sarat Sahu said Distant Cautionary Signal Number One (DC-I) has been hoisted at all ports in Odisha and fishermen are advised to be cautious while venturing into the interior or distant sea along the Odisha coast during the period. Meanwhile, Special Relief Commissioner Pradipta Mohapatra asked people not to panic, stating that the government is fully prepared to tackle any kind of eventuality. It might be noted that the 1999 Super Cyclone and the Cyclone Phailin had struck in the month of October and wreaked havoc in Odisha.